Robert Winston gives a keynote lecture at The Physiological Society’s conference in London. For more information see their video. Following the award of an honorary degree at Birmingham City University in September, Professor Winston visits the Birmingham Women’s Hospital where he will address staff and students on the subject of fertility and genetics. 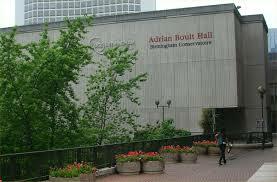 He will then visit the Birmingham Conservatoire to meet with staff and students.